Home/Investigators and Research Centers/Investigators/Marie D. Werner, M.D. Dr. Marie Werner is a board certified Obstetrician Gynecologist, Reproductive endocrinologist and infertility specialist, and board certified High Complexity Lab Director/Andrology Laboratory director in the fields of embryology and andrology. 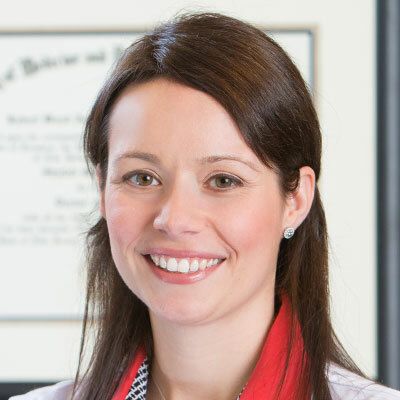 She is the Associate Director for the Reproductive Endocrinology and Infertility Fellowship program at Reproductive Medicine Associates of NJ where she teaches fellows and develops clinical education and research interests. Dr. Werner received the SRBT Clinical Science Award and the Corporate Member Council In-Training Grant from the American Society for Reproductive Medicine for her research contributions. She serves as an Ad Hoc Reviewer for Fertility and Sterility. Her research interests include ART laboratory science, assessment of embryonic competence and autoimmune disorders and pregnancy.